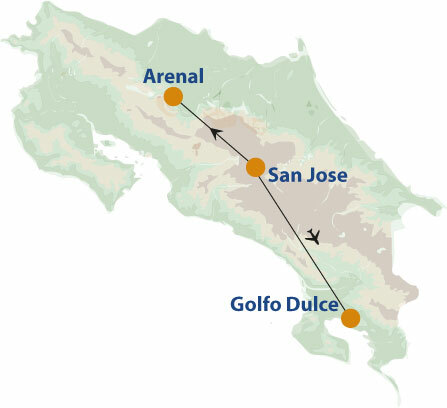 Many holidays to Costa Rica take in many destinations, allowing you to see a lot of the country but linger in none. This trip is different. In 10 days you only stay in 2 places, which means that once you arrive you can really make yourself at home, and you’ll have several days to enjoy all that each region has to offer. You have the luxury of time. 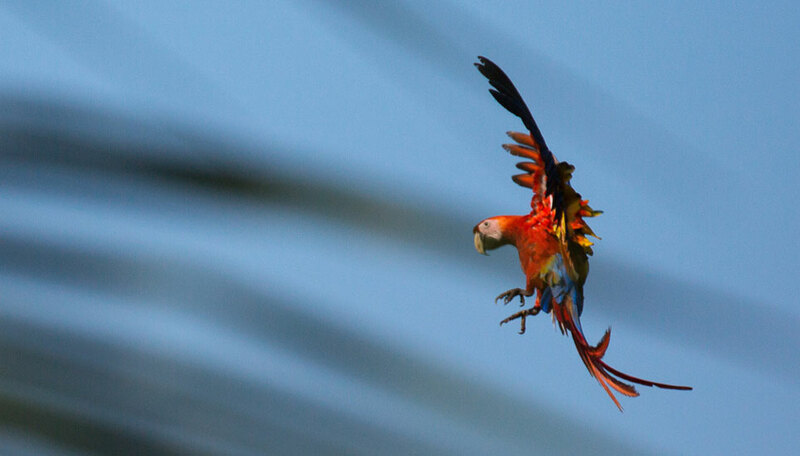 This is Costa Rica unrushed. 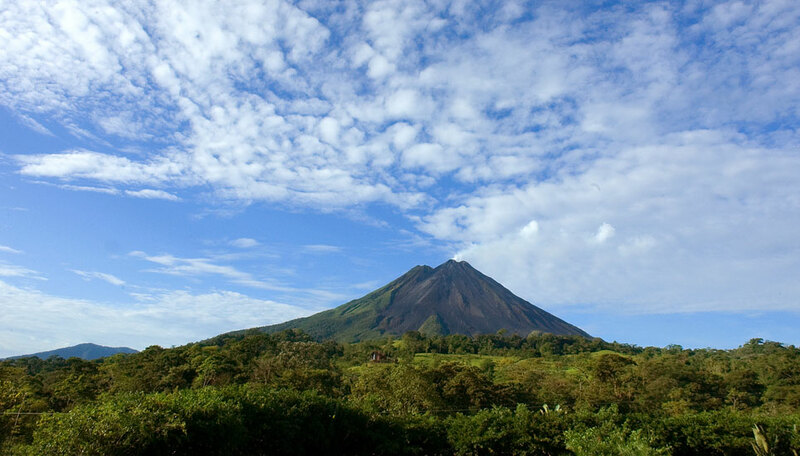 Your first home is Nayara Hotel Spa and Gardens, set within sight of the magisterial Arenal Volcano. 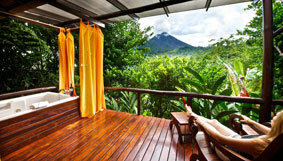 You have 3 full days to go deep into the rainforest on suspension bridges, experience the thrills of ziplining down the volcano, go for long hikes and guided wildlife in the national park, and sooth your body with a long soak in a hot spring. 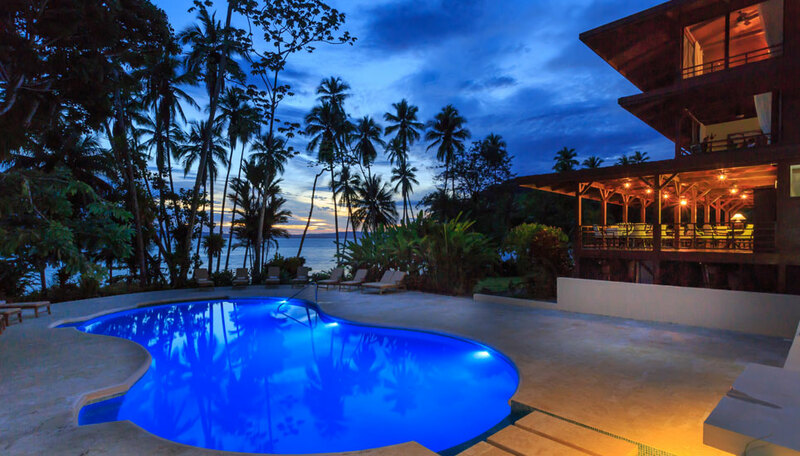 From the mountainous centre to transfer to the southern Pacific coast, Playa Cativo is on the scenic Golfo Dulce, in its own private rainforest, as you swap volcano views for sea views. Take to the water by kayak or paddle board, delve beneath the surface on snorkelling trips, or head out into the bay in search of dolphins. There are walking trails, dreamy botanic gardens and wildlife sanctuaries to be visited, but you’ll have plenty of time. At each hotel you’ll enjoy creature comforts and excellent facilities. 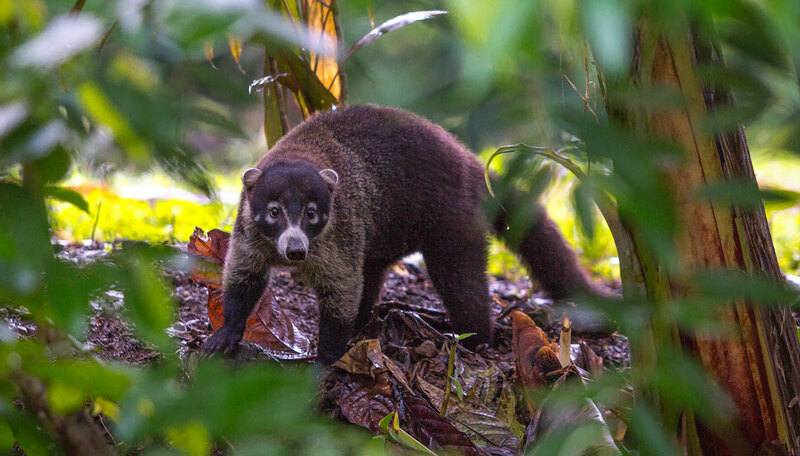 Both have lovely outdoor swimming pools, lush gardens, spas where you can let yourself be pampered, and restaurants serving delicious Costa Rican cuisine. You’ll feel right at home! 2019 price from (pp sharing, excluding international flights): January-April £3,025. May-October £2,650. November-10 December £3,440. Note: Dates including festive periods such as Easter will attract a surcharge on the above prices. Excludes: International flights, departure taxes, visas, travel insurance, meals not specified, drinks, optional excursions and activities at both locations, personal expenses, tips. 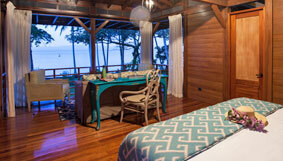 The lodge is on the unspoilt Golfo Dulce, opposite the Osa Peninsula, set in over 400 hectares of private rainforest. Arriving is a thrill in itself, as the lodge can only be reached by boat, adding to the air of exclusivity. All guest rooms face the ocean for fine views and are constructed from reclaimed wood which gives them a homely feel. There’s enough space for a sofa, and the bathroom has a luxurious rain shower. Bathrobes and toiletries are supplied. The lodge has a fresh-water swimming pool and pool bar, attractive gardens and a library with an impressive collection of reference books. El Gavilan Restaurant makes use of local organic produce and fresh seafood to produce traditional and contemporary Costa Rican dishes, and there’s a comprehensive wine list to compliment your meal. Yoga sessions and massages can be arranged to promote health and well-being.